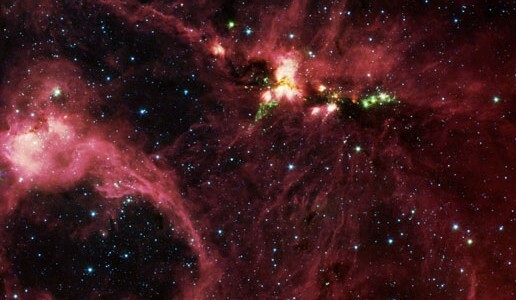 It is likely that we are alone in the universe, with no other intelligent species nearby. What does religion have to say? =>New February 2018: three new featured articles presented under “Author’s Articles” dealing with life in the universe, the multiverse (the idea of a near-infinite number of universes), and what I call the end of Copernican Mediocrity – the end of the notion that because we are not at the center of the universe we must be commonplace (these articles are in pdf format, and might take a few moments to download). —Charles H. Townes, PhD, Nobel laureate in physics, winner of the Templeton Prize, and professor of physics at the University of California, Berkeley. —Daniel C. Matt, author of God and the Big Bang , and The Zohar: Pritzker Edition. —Rabbi Lawrence Kushner, author of Kabbalah: A Love Story, and Jewish Spirituality: A Brief Introduction for Christians. The universe began out of nothing 13.7 billion years ago and has expanded in an evolving process that resembles one that Jewish mystics envisioned centuries ago. 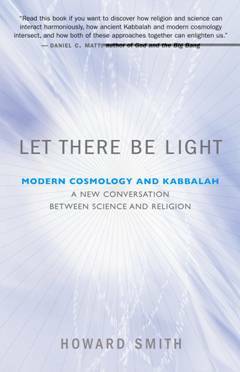 In Let There Be Light, astrophysicist Howard Smith clearly explains the modern scientific understanding of the cosmos and explores how it complements Judaism’s ancient mystical theology, Kabbalah. He argues that an underlying harmony exists between science and religion, and he uses cosmology and Kabbalah as detailed examples to show that a dialogue between the two sheds light on ethics, free will, and the sanctity of life. At the same time he rejects fundamentalist misinterpretations and the pseudoscience of creationism. Accessible yet based on the most current scientific research, this extraordinary book investigates the intriguing parallels between the Big Bang theory and biblical images of creation as developed in Kabbalah. Along the way, the author explores modern quantum mechanics, relativity, dark matter, and cosmic acceleration. Smith delves into complex ideas without resorting to jargon or mathematical equations, creating a lyrical, authoritative work that brings new and surprising insights to the deepest mysteries of the cosmos.